HP: Once more into the smartphone breach? Meg Whitman’s interview with Fox Business News where the CEO of HP revealed “My view is we have to ultimately offer a smartphone because in many countries of the world, that is your first computing device” is a little surprising (at least, to me). Not so much that HP would want to create a smartphone because they’ve had several runs at this before, but because HP might want to plunge into the maelstrom of mobile devices now. HP’s history with smartphones is an unhappy one. 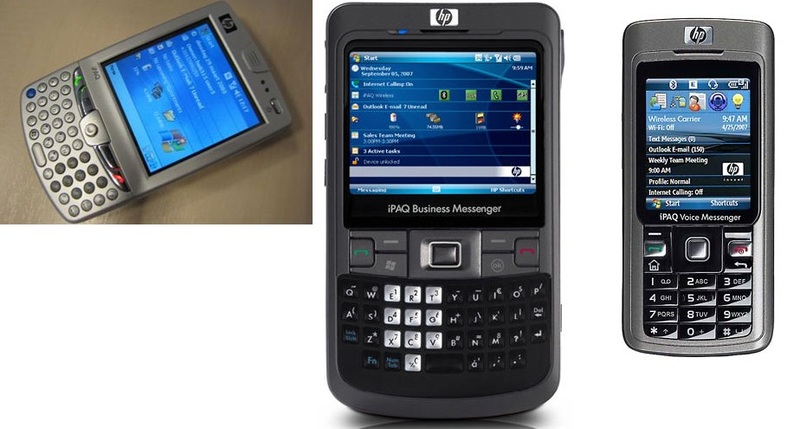 For example, in 2005 we had the joys of the HP iPAQ Mobile Messenger 6500 devices, which ran Windows Mobile 5. At first blush these devices seemed a good choice for any company who had deployed Exchange 2003 SP2 (released in March 2005) as this version included the first release of server-based ActiveSync. Alas, the 6500 wasn’t a very good device at all. Its radio was weak, battery life limited, and the design wasn’t so great. Some of my sources in HP’s Personal Systems Group (PSG) told me that the design work was outsourced to HTC. If so, HTC has clearly improved (a lot) since in its industrial design capability. HP’s next generation of smartphones included the iPAQ 500 and 900 series. These ran Windows Mobile 6 and were designed in-house. I thought that these devices were much better and liked my iPAQ 510, even though its candy-bar design and phone keyboard made it a pain to read and process a busy inbox. In that respect, the iPAQ 910 was a better option for me and I moved over to use it. Even with the improvements, customers didn’t respond well to HP’s smartphones. Sales were weak and the result was that the people inside PSG who wanted to push the boundaries of industrial design to create some much better looking and functioning smartphones didn’t get the backing or investment to develop new models in the 2007-2008 period. Such was the effect of the boa-constrictor effect of Mark Hurd on new research initiatives, even as he was asking the HP R&D community “where’s my iPhone”? But then Hurd allowed HP to buy Palm for $1.2 billion in April 2010. I had moved on from HP by then but this news still came as a shock. It appeared to be a good deal initially, even if the price was high, because it brought a lot of smartphone talent into HP and a good mobile O/S in webOS to complement or possibly replace HP’s previous dependency on Windows Mobile, a platform that was struggling at the time. The Palm acquisition offered HP the opportunity to build a complete mobile ecosystem that could link up with their other enterprise offerings as well as offer devices that were suitable for consumers. Alas, we know how the Palm story turned out. A new CEO shot down in flames, a massive write-off, webOS open-sourced, many lay-offs of expensively-acquired talent, and an embarrassing reversal out of the tablet market. About the only benefit anyone gained was through the cut-price sale of TouchPad devices after they were canned. And so to today. It’s reasonable that HP would have a continued interest in tablet devices as they can leverage Microsoft’s investment in Windows 8. Whitman said in December 2011 that HP might have webOS tablets in 2013 but that ambition seems to have disappeared. But phones are a different matter. Apple makes enormous profits from its iPhone, but they have market share, presence, and a terrific ecosystem in iTunes. HP has none of this and yet they now seem to want to plunge back into a market where Nokia is losing its shirt, everyone is suing one another because of patent infringements, the pace of development is very fast, and profits are largely cornered by a dominant player. And then you’ve got the effect of BYOD in large enterprises that no longer seek to impose a restricted set of devices on their employees. All-in-all, it sure sounds like a recipe for sure-fire success. Perhaps HP has some magic tricks up its sleeve. Maybe there are sufficient patents in its huge IP portfolio to insulate it from lawsuits by Apple, Samsung, Sony, Motorola Mobility, or anyone else. It’s possible that the decision-making process within HP has been accelerated from barely trickling along to something approaching reasonable. HP has deep pockets and could afford to throw millions into R&D to come up with a unique device that swoons consumers and also delivers a winning formula for enterprises. Whitman did say that “we’ve got to get it right this time. … So we’re working to make sure that, when we do this, it will be the right thing for HP and we will be successful.” I do hope that whatever they do is the right thing for HP but there’s a nagging feeling that plunging back into smartphones isn’t the right way to go, unless it’s simply a case of making a deal with a smartphone vendor to produce HP-branded devices. I could see something like this happening with Nokia as Windows Phone is closer to HP’s other offerings than are Android or iOS devices. Maybe an HP-badged Lumia smartphone is in the future – or taking a completely different direction, perhaps an HP smartphone will come about as a result of some webOS development that resurrects a Palm-like device. We shall see. On another note, following last week’s announcements from Microsoft, I was interested to read the views of Hal Berenson on the demise of the Forefront products. 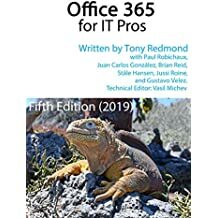 Hal was deeply involved in the development of Microsoft’s Identity and Security Division and is therefore able to provide some real insight into the flaws of the division that might have led Microsoft to decide to move away from on-premises products to concentrate on cloud-based offerings. No doubt we shall hear more in time. This entry was posted in Cloud, Exchange, Technology and tagged HP, HPQ, HTC, iPAQ, iPhone, Nokia, smartphone, Windows Mobile, Windows Phone. Bookmark the permalink.